Because I have a teaching background, I do not want my kids just sitting in front of the television or playing video games just because I am trying to get some reviews written is difficult. They can only keep themselves occupied for so long with out needing something extra or different to catch their attention. 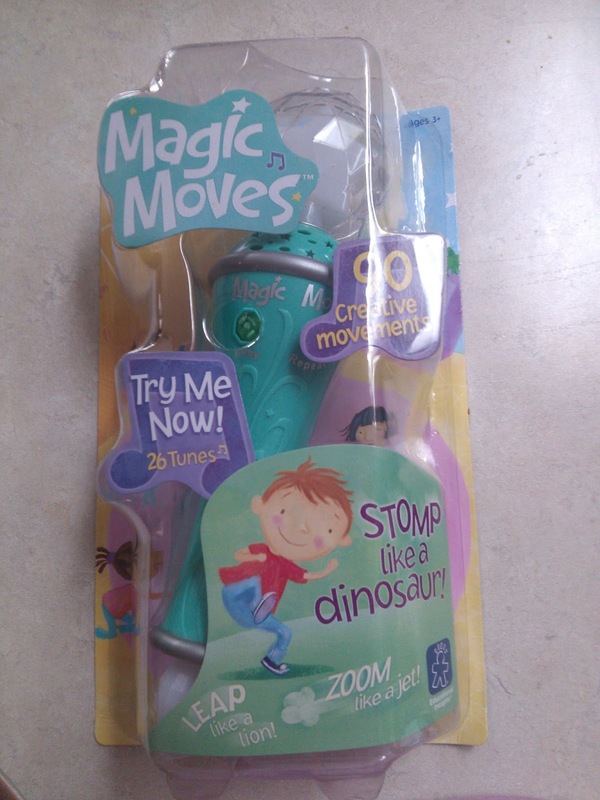 When given the opportunity to review the Magic Moves Electric Wand from the Educational Insights, I quickly signed up to try this product out. Educational Insights is a company that creates unique classroom tools, toys and games for the kids of today's world of technology and being on the go. I am really interested in several of these products for the school I work in and many of them look like they would benefit the students I have in my program. They have some amazing ideas and games to get kids moving and learning all at the same time so students don't realize they are actually learning. This Magic Moves Electric Wand gives kids a light show at the same time as a variety of activities for the kids to do. These include things such as stomp like an elephant and other varieties of creative movements. This not only kept the kids active for a good hour it also is helping to increase their vocabulary of different words for moving. They all enjoyed bouncing around and actually seemed to argue a bit about who would hold it as the director. This is really a cute toy and I love how active the kids are while playing with it. It is portable so that little hands can take it with them most anywhere. Recommendation: This is a great product and as far as teaching resources go this is a great price for something like this. Most teaching resource companies would charge at least double for this product, so I am a fan of this company and this specific toy.